Miniwa is the second wife of Quemperi Baihua, shaman and Huaorani leader of the last surviving Huaorani tribe of the Ecuadorian Amazon forest. Deep in the Ecuadorian Amazonian rainforest, the Baihua family, the last Huaorani community group of about a hundred people, is one of the "contacted" indigenous groups among the few remaining autonomous indigenous tribes attempting to resist the destruction of their pristine territory by multinational petroleum and logging interests. The tale of the Bameno people is one of a place where men live in community, and where myriad forms of animal and plant life come together to form a lush microcosm. 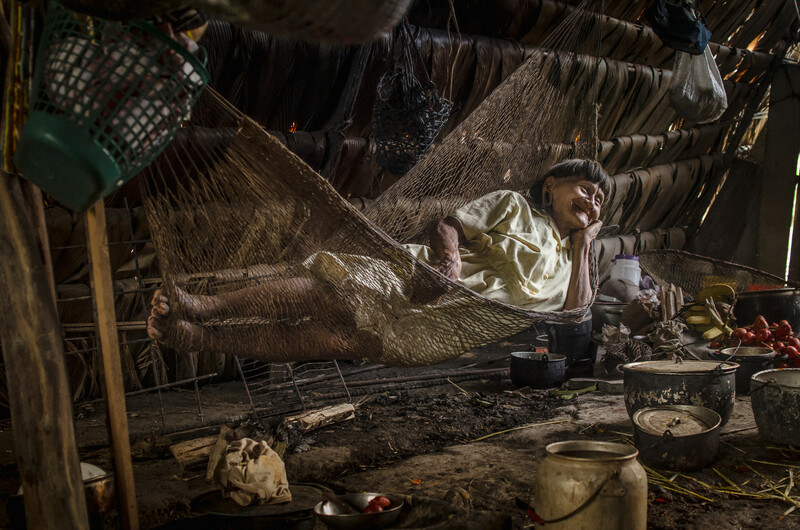 The struggle of the Baihua Family (also referred as the Quemperi Clan—whose oldest shaman is Kemperi Baihua), the last Huaorani tribe living in their own ancestral environment, is part of a larger struggle: that of indigenous peoples worldwide. They are at the heart of a centuries-long struggle to protect the Amazon, their own territory, the OMÉ and their way of life. However, the nature of this struggle has changed as have the relationships between this family's history and that of the outside world. The Baihua family's daily struggle is derived from their “contacted tribe” status. Understanding against whom or what this struggle is being fought, and how the nature of the struggle itself is transforming the Quemperi clan’s way of life led me to a prolonged stay in their settlements. I lived with the Huaorani in their settlements of Bameno and Boanamo, located deep in the Amazon rainforest of Ecuador for many months, filming and photographing their daily life, their ongoing struggle to preserve their territory and their way of life, where modern technologies cohabit seamlessly with their ancestral culture, rituals, and food gathering. These photos are just a preview of the film for which I am seeking postproduction financing. Before the Huaroni are caught up in the web of forced modernity and lose their territory, these images bear witness to their beauty and determination.